Comic Frontline: Zone 4 #438: Crisis Management Session Two! Zone 4 #438: Crisis Management Session Two! What you are about to hear is highly classified. Pay attention and listen at all times.... And most importantly remember: Listen to your flying robot when they try to tell you not to tell the Flash that you may have killed someone he loves! This week we have the Zone 4 Crew Brant, Chris, and Jay. The crew returns LIVE on Comic Frontline's YouTube Channel for another jam-packed episode of your favorite podcast, Zone 4! This episode: The crew checks into Sanctuary to discuss the Nintendo Direct news, HEROES IN CRISIS #2 and more! Ladies and gentlemen you are now entering Zone 4!!!! 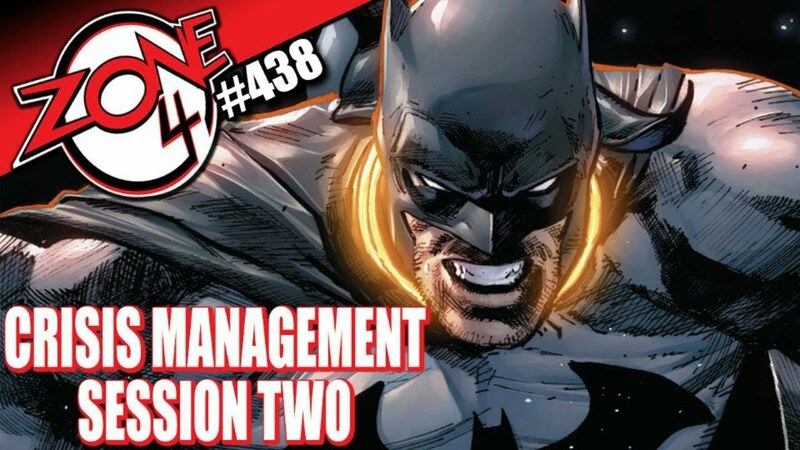 Let us know in the comments here and on Comic Frontline what you think of Zone 4 #438: Crisis Management Session Two! and don't forget to follow us on Twitter for the latest Previews, Reviews, News and Interviews!